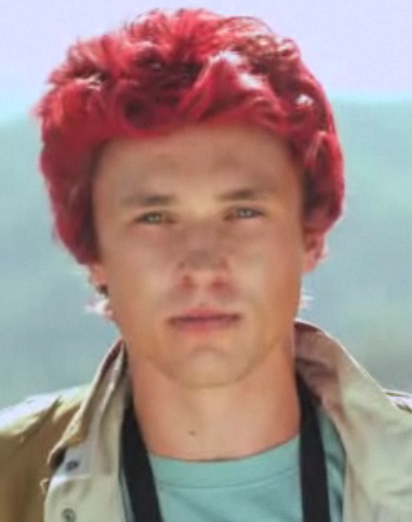 William Moseley (Peter) makes an appearance as Wheeler (“Fire!”) in a recent Captain Planet parody video by Funny or Die. “Captain Planet” was a television series created by Ted Turner in the early 90s. Funny or Die is a comedy video website founded by Will Ferrell and Adam McKay’s production company. View the video here. There is also a behind-the-scenes video. (Warning: Strong language and some sexual content in both videos). Does this make anyone else think of a certain comical, joyful moment in Prince Caspian that didn’t make it into the film? Which scene are you talking about? Perhaps it’s the nursery scene? That’s what it reminded me of. I think glumpudle is thinking of the part in Prince Caspian where Aslan turns the Telmarine kids into pigs, and the old man with a stick into a tree. And yes, I, too, thought of that. And facepalmed. very disappointed in this video… didn’t think it was funny at all. The language etc… is disgusting. Will is better than this…. Have you seen Captain Planet? I used to watch it, so I enjoyed the irony in this video. Yeah. I mean, the stupid language and such is bad, but now a days; it’s like it’s perfectly normal to do that stuff… and people think it’s funny. I thought the video wasn’t funny AT ALL (except 4 the part where he’s like: tree tree!! tree tree…) It’s kinda sad that it’s like normal to do stuff like this. But if people think it’s funny to swear every five seconds, fine! They have no life, i’m sorry to say 🙂 At least I know what a comedic video is. This is just 5 min wasted of my life. And even if I was a person who swears a lot and watches sexual videos; i think i still wouldn’t enjoy this. It’s just…..stupid! I agree.. Also, I’m surprised no one has reported Anna’s upcoming role in ‘Payback Season’. Another very important story… Will Poulter said last week that none of the other main Narnia cast are on Twitter! Story #3: Journey into Narnia: Prince Caspian at Disney’s Hollywood Studios will close on September 10! And story #4… Killing Bono starring Ben Barnes will be released in US theaters on November 4. I used to watch Captain Planet. Funny video. I love the end. I am going to laugh so hard if they actually make a Captain Planet movie. No, he can’t… but why’s he filming this stuff??? WHAT IS WITH THE HAIR, WILL? He can do better, can’t he? All the hair needs is some…..something that makes it look realistic. To me it just looks like a cheap wig that someone bought at the dollar store. No offense. He looks weird in red hair. what!! u thought that was HILARIOUS!!! well maybe the part where he’s like: tree! tree! tree! But that was soooo boring!!! Lovely. 😛 Yeah, I see some people are complaining that it’s inappropriate, with both sexual and language content, but remember that this is just a parody and it’s not meant to be taken seriously. I can’t remember if I ever watched Captain Planet, but being the younger sister of two brothers, I probably did, but I don’t remember it. I think it occasionally shows on Boomerang on Earth Day or Arbor Day. Maybe it’s more dangerous to laugh at things that are wrong, than to take them seriously… Humor *can* be clean, and still be hilarious. Most of the Get Smart shows (not the movie) are an example. Does any one get the feeling they should just facepalm after watching this video? Because I just did! LOL that was kind of funny. I’ve seen CP before so this was alright, even with the strong language. Why anyone would talk like that. Why William was a part of that. I thought for sure he’d do something Christian because he is one. Can’t you say to the directors, "I don’t agree with this script, therefore I refuse to do it."? Surely there’s a director out there with an excellent script and a part that Will will be able to star in. Sorry Will, but that was truly unacceptable! Are you sure he’s actually a Christian, or do you just assume since he’s in Narnia? I’ve never heard him say that, and most people who say they are are usually more agnostic. I’m 99.9% sure he’s not a Christian, There was an interview w/ him when the host asked him if he had any religion, so Will was like: "Um, yeah, i think there’s a god somewhere up there, so uh, yeah i guess that would make me Christian" then Skandar said he’s an atheist, but when ur a Christian, u need to believe that he died on the cross and ask him into ur heart. I don’t think Will has asked Jesus in2 his heart sadly. I don’t assume anything. I found on some site, I think Wikipedia (though not very sure), that said he was. That same site said that Anna and Georgie are Christians. Georgie, I’m very very sure is, because in one interview she said she liked that in Narnia "there’s a Christian background for those who want it". Hey WilliamMoseleyandSkandarcrush, do you remember that interview, where I can find it? I am very interested in seeing it. -and the storyline a little wacky. Sorry, i can’t give u an exact place. It was a very long time ago. I found it while browsing around on Youtube. Yeah, I agree, Aslan’s BFF, Terrible acting. You’d think High King Peter the Magnificent could do a little better. Perhaps the answer was found on Ask.com? Cause I just looked it up, and the answer was just quite simply,"yes". Didn’t even have a capital ‘y’. Sigh. Hey, thanks! I like yours too! Other than the language, I don’t understand why people are so offended by it. It wasn’t THAT bad. I thought he was adorable in the behind-the-scenes video. AND YAY GILLIAN JACOBS! So, according to some people here, Will M. shouldn’t have been in that video because of some "inappropriate" contents because he once upon a time played Peter Pevensie? In that case I wouldn’t recommend you ever watch "Dorian Gray" starring Ben Barnes. These people are actors, this is their living. Don’t confuse them with their Narnia characters. And as far as I know, Will M. haven’t done one single film since "Prince Caspian", so it looks like the studios aren’t exactly banging his door down. Maybe he can’t afford to be picky. You’re right, Freya. We may not always like it, but that’s the way life is. An actor’s job is not necessarily to be a role-model, their job is to act. Can’t they be actors *and* role-models? I know they should just be making money and all, so don’t think I’ve just fallen of the turnip truck just because I think that they could have minused the language. I’ve seen parts of Dorian Gray on YouTube. It was a weird movie. Kind of graphic and … yeah. I know what you mean, Aslan’s BFF. Actors *should* be role-models, but nobody is perfect, and as Freya said, some actors can’t afford to be picky with their roles, and it’s how they act offscreen that is most important. But of course I don’t like to see them in movies with inappropriate content. I’m a Christian, and I’d like to see every member of the Narnia cast starring in good, clean movies. But that’s Hollywood for you. And we shouldn’t judge these people. Just don’t watch the movies that you don’t like (I haven’t even seen this "Funny or die" video, by the way). Don’t waste your time in seeing it. I’m not seeing the movie. But whoever does is welcome to give me feedback on the wholesomeness of it. I, for one, will be writing or reading a book. I know this is totally off subject and for that I apologize, but did you get your name from "The Adventures of Merlin"? No, I have never watched that to be honest. Freya is a name origined from Norse mythology, and I’m Norwegian, it’s part of our ancient history. Oh wow! I love the Norwegian accent. I’m big into accents and things because my own is so American and boring. I asked because in one of the episodes, Merlin falls in love with a girl named Freya. You probably are completely lost in this explanation. But you should check out the Adventures of Merlin sometime on Imdb. The episode is called, "The Lady of the Lake". Well, if Will M. was a class A actor I’d say he has a responsibility as a role model and should consider that in every aspect of his public life, but the thing is, he’s not. Most people, except us die-hard Narnia fanatics, don’t even remember him anymore. Sorry, but that’s the truth. Dorian Gray is, in my opinion, a fantastic movie, but like you say, very graphic. Ben however, is a great role model, because he is always so respectful and loyal towards his fans and the films he’s a part of, you can hear it in every single interview he does. If these actors cannot be a part of films with "inappropriate" content, just because they once upon a time did a part in the Narnia films, their choices would be scarce indeed. The important thing is how they conduct themselves off the screen and in public, nobody wants to see another Lindsay Lohan. A story or a movie isn’t neccesarily bad if it contains sexual content, it’s the way it’s portrayed. The picture of Dorian Gray is actually considered a Christian story. Although I presonally don’t think movies should have very graphic sexual content. Yes, me too. I really don’t think any movie needs to be graphic in that way. There are so many good movies out there that don’t have it. Skandar Keynes is born in 1991, that makes him 20 now. He’s not a teenager anymore, unbelievable as that sounds. Whoops, sorry about that. Thanks for the correction! Gosh, time sure flies when you’re waiting for the next Narnia film, eh? WOW! It just seems like Yesterday when Andrew Adamson told someone…. "I’m being bullied by a nine year old!" (meaning Georgie) The years sure do fly by when we are all waiting anxiously for a Narnia 4. That was very stupid. I didn’t hear a curse word, but that was because I had the volume very, very low. That whole thing was lame. And that one part was gross and innopropriate. Sick. When we said we wanted the little stories, I don’t think we ment this 🙂 This was TERRABLE!! I watched it with volume and there was much colorful language. Although not as colorful as Will’s hair… dreadful. I kinda liked the red hair. Errrrrrrrrrrrrrrrrrrrrrrr. I really don’t like the red hair. Never watched Captain Planet, but I still thought it was a hilarious parody. It’s a bit silly to complain about the language in it when the story warns, in bold print no less, that there’s strong language in it. If you knew that would offend you, you shouldn’t have clicked. Also amusing was the fact that Will couldn’t even manage hammy overacting. I thought he was the least talented actor in LWW & PC and that video does nothing to change my opinion. Yes, I agree. William was no the best actor. He was the most dramatic. Probably too much. Liam Neeson was the best. Out of the four Pevensies, there were only two good actors, and that was Georgie and Skandar. Anna wasn’t too bad, but Will was mediocre at best. He didn’t do a bad job in LWW, but in PC… well… He hasn’t done one single film since, I guess that speaks volumes. Yeah. But you have to admit, he sort of looked the part. And Skandar’s fabulous acting was a fluke. They just picked him because they thought he looked semi-related to Georgie. Weird. (Skandar is still really good!) But I would say that the complete best Narnia actor was Will Poulter. I think he was even better than Ben Barnes. I agree, Jackie. Will Poulter did an amazing piece of acting as Eustace, he made me think he WAS Eustace. I think he has a great acting career ahead of him, time will tell. I was talking about the four Pevensies, so I didn’t include Will P. or Ben. Ok. Ben was good, too. Made a quite handsome Caspian! I thought that William was Peter. Just like Georgie *was* Lucy, etc. He fit the part as himself. I remember in Prince Caspian, when they have to leave the army behind after the raid, the look on Peter’s face made me want to cry. Yes, he did a good job there. So….You like this vid? Even though the language is completely horrendous? Just saying….. I gather you liked the vid. I only watched it with low volume to see him. if Will even ever talked, i didnt hear him. he just stood there looking stupid with the red hair. it surprises me what good actors will put themselves in after doing amazing stuff like Narnia. i mean, doesnt Will want to pursue a career in acting? then why isnt he pursuing legitimate acting positions instead of this crap? Come on, Will. I only remember one line for sure but there was one before it. But hey, there are never small parts, only small actors! Hey! It’s my birthday today! Somehow I just realized that. Weird. I thought this film was overall hilarious! And yes the language did not at all bother me. Since I’m already doing internships in the film industry the first rule I learned in acting 101 is that in order to be an actor you have to tolerate language and (touching) and yes what some of you guys said offended me especially the part about being a Christian. The only person who has the right to judge is God and him only. I’m a Christian and I cussed in a few class films and in theatre, one time I read a script where my character says God’s name in vain, I compromised with the director to only say the "word" without puting God’s name in it and he agreed. As long as the story that is being told is a good one, obviously in this case a dark comedy it felt right and okay. So stop judging William guys! He’s well on his way. Also I didn’t hear him say one cuss word at all. Calm down people. Okay, you got me. I feel so guilty now. Seriously. ‘Funny or Die’. Come on. He could have spent more time on something more important instead he did something that was so worthless. It’s not even humorous. The guy has to make a living somehow. He’s an actor and actors will get their hands on anything when the oppurtunity calls for it. They wanted him in this and he did it. Plus he’s around other major stars, Disney channel stars for that fact. Weird. Way weird. Not the movie I would pick to be in. Or to watch, in this case. William is my favorite actor. So what if he does FoD parodies? And by the way, this is NOT a film, but rather a parody clip made for INTERNET. Many actors have underwent this, even Marion Cotillard. Since William is still on process of finding more film projects, maybe he thought of doing this. And hey, isn’t it that you get smaller projects first before bigger ones? Also, William has intentions in getting to film directing someday. I hope you guys realize that actors are not the same as their characters, so don’t think that Georgie will be Lucy forever, on even think Christian Bale is always a superhero-ish as Batman. I hate to break it to you, honey, but the Narnia movies he was in were the bigger ones. Then he went and did this. By all accounts, his acting career should’ve moved forward after Narnia, not backwards. He has not done one single movie since Prince Caspian, and that was filmed back in 2007 I think, it’s four years ago, and that is a long time in this business. So I hope he has a back-up plan, like directing as you say. Either way, we wish him luck. He is very beautifull, but the long hair does not suit him. otherwise he is wonderful.